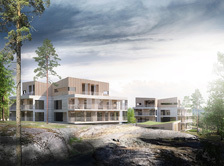 ARK-house arkkitehdit Oy was awarded an honorary mention in Kuopio Mölymäki area architectural competition. 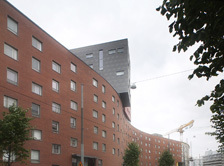 ARK-house arkkitehdit Oy was awarded an honorary mention in invited housing design competition. 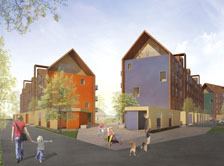 The proposal was praised for fresh and innovative housing design ideas. Vaahterakoti is a sheltered home in Järvenpää. Facades are made of colored concrete with diagonal grooves. 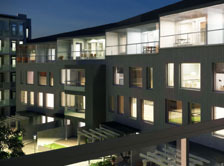 Changes in lighting conditions and viewing angles produce subtle variations to the facades. Smooth white surfaces and graphic concrete designs have been used as accents in the facades. 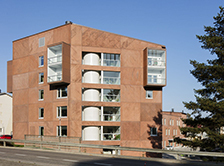 As Oy Helsingin Pablo is completed in Atrium city block, Jätkäsaari district, Helsinki. There is a six-storey high atrium space in the heart of the building, providing natural light and interesting spatial views for inhabitants. 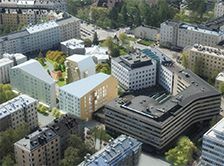 Keski-Pasila northern blocks general plan designed by ARK-house architects ltd. The total area of the plan is 45 200 sqm and it consist mainly of housing, office, business and sports facilities. 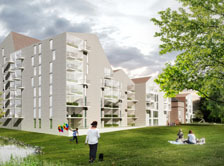 ARK-house arkkitehdit won the design for the new housing project in Töölö. Töölöntullinkatu 4-6 office buildings are to be replaced with 3 newapartment buildings. Total floor area of the project is approximately 10 000 sqm. 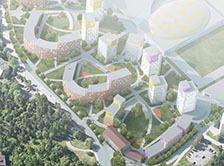 ARK-house is designing new urban housing and commercial spaces at Kruunuvuorenranta area, Helsinki. 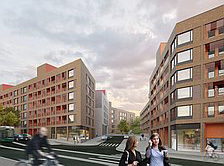 Project consists of 10 800 sqm of housing and small shops and offices. 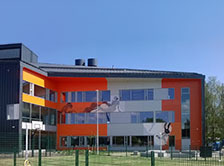 Nikkilän Sydän is a 8 800 sqm school project situated in Nikkilä Finland. The main building is completed (2016) and ARK-house is at the moment drawing the designs for the new extension wing. 6th building stage of the large housing project has been completed. 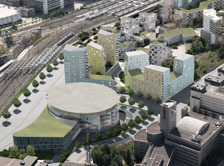 The building site is situated in Pasila area, Helsinki.